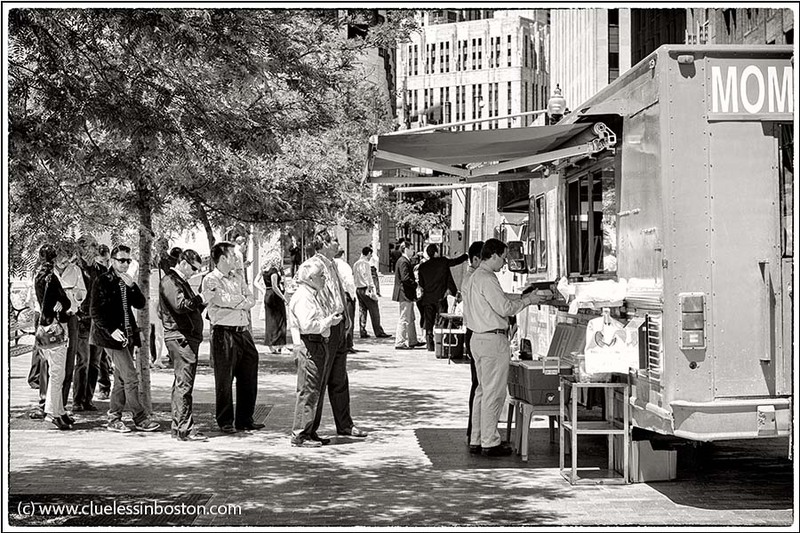 Two of the food trucks on the Rose Kennedy Greenway had people lining up for lunch on a sunny spring day. I love street scenery pictures, this one is awesome! very nice contemporary slice of life. I agree with comments above. Here,in my corner, we have such trucks only for pizzas! You have such high contrast here that it looks like a pen and ink sketch.